The exterior design of the house reflects the interior design. Relying on external facilities, architectural details, and the colors will all help to make your home look unique. If you seek to adjust or make some changes to the exterior look of your house, you should consider changing the color first because it’s affordable and a very effective technique. The color of the external part of your house should reflect your house character to provide luxury. This can be obtained by depending on pure light colors or the colors can be unusual such as bright modern colors that are suitable for the youngsters. Determine the feeling and the shape you want your house to have to guide you for the perfect color choice. The beauty of the architectural elements is the ability to use the details, materials, and colors to display the era in which your home belongs to. That is unique to your home and your neighbors. If your home is a villa inspired by the ancient world as the "Tuscan" or the Mediterranean Sea, the details of white, orange and brown are all perfect for the tile roof and trimming details. The surrounding environment of your house affects the selection of the external color of the house in a beautiful way! Beach homes, mountain, and tropical homes have a nature to inspire colors from. Some people get inspiration by travels and holidays for the external color of the house. If your trip was to a tropical place, so why not use tropical colors for your home? Most of the houses which are located on islands use light and exotic colors such as turquoise and peach, yellow and bright red and purple as the color of foreign destination for their homes. Although you love your neighbors, remember that in the end your home should look wonderful between their homes. If you live in a historical Victorian home or in a house inspired by the Tudor era, you should know that retaining the historical character of the original colors for your home is a necessary thing. However, your home may go back to hundreds of years where you do not know the base color for your home or for the surrounding houses automatically. If your city has a Chamber of Commerce or historical architectural organization, also, you can seek help from paints manufacturers for the historical colors that are suitable for your home. 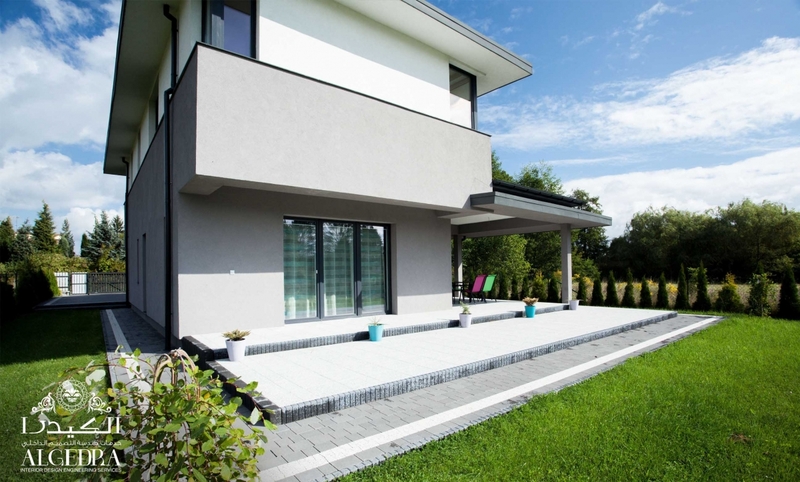 The Material used for the outer part of the house can give you more than one guess to choose colors for the external part of the house. Bricks, plaster, and concrete are all unique. Choose the material that represents your style and taste well and fits with your home environment perfectly. You will be surprised that the bricks could come in pastel colors such as yellow italics, white to a color darker than the dark gray! Look for stuff that you like best and then look for color options depending on the finishes you want. Just like Architectural details the landscape around your home can enhance your choice of color. If you have great views and a lot of beautiful foliage, you can define how to use red brick or green exterior paint for the external interface of your home. If you're not sure about the choice of colors inspired by the landscape, ask for an expert’s advice. While thinking about the color of a field as a choice for the external home color, remember that the smallest detail about the house would bring joy. The decoration of doors, windows, roof and natural colors, drainage pipes, and tubes can also be colored or the copper pipes can be a beautifully mellowed color. You have to decide whether you would like a great variation of distinctive colors for the doors or you prefer simple unified color. In both cases, do not simplify things a lot and take into account the influence of the choice of colors for the external decorations details. 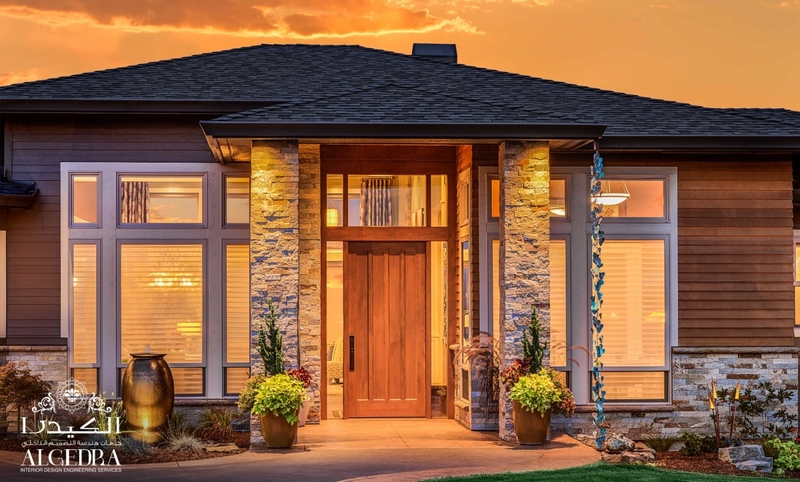 If you didn’t realize it yet, the outer part of your home may seem beautiful in the light of day, but when the sun sets the choice of color deception amid the landscape would not be a wise choice. Most mountain homes that are located amid evergreen trees try to get away from the green colors to make their homes stand out amid the green background. Natural wood paint is a common choice between mountain homes to give them a rustic sense. The neighborhood that you live in may already have a specific color. 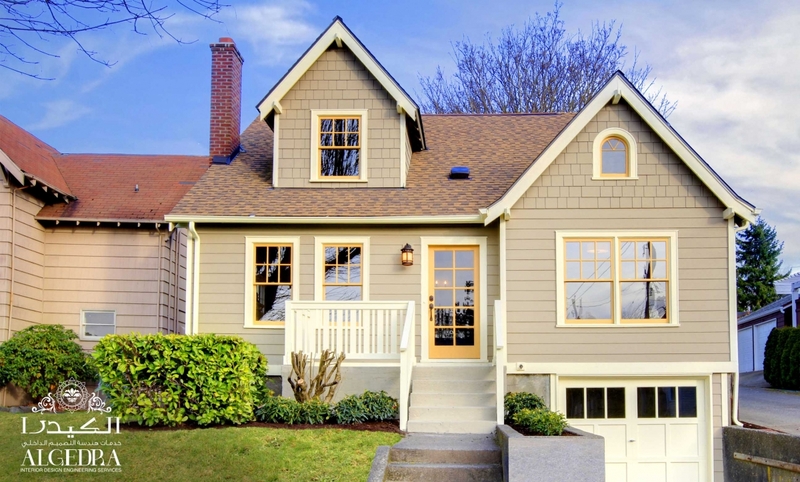 Whether you are a newbie or you already have a house, roam the neighborhood and value the existing houses. Look if there is a coordination in the color or all the colors are not consistent or harmonious. The external house color must be unique and according to your taste, but you have to make it fit in with the neighbor’s houses.